The first time I made these, I was attempting to feed a bunch of ravenous VBS workers. We had quite a bit of donated dinner rolls on hand, plus turkey and cheese. 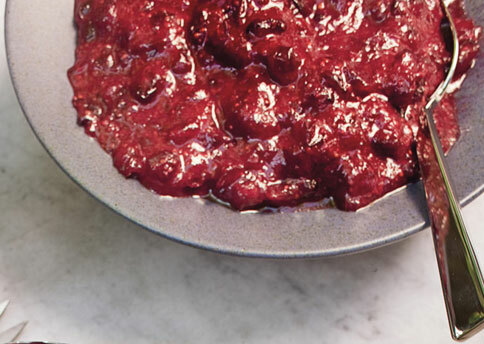 I remembered that I had a can of whole berry cranberry sauce. I wanted to make a sauce that would go with turkey. Well, we all know what good friends turkey and cranberry are. This recipe will feed a crowd or one hungry teen-aged boy. 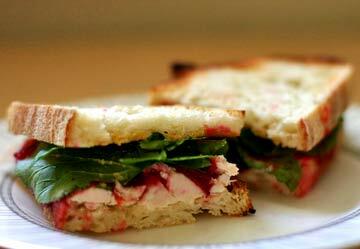 If you are making just one sandwich, the sauce can be kept in the refrigerator for quite a long time. I have also made paninis and grilled turkey burger sliders, topped with cheese and this sauce... mmm! I suspect it would be a lovely relish to serve with a grilled pork loin... hmmm, dinner idea! 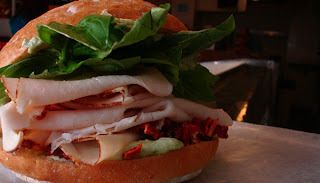 Place a couple of slices of turkey on each roll. Mix can of cranberry sauce with half of honey mustard. Add more mustard to your own taste. Spread on sandwiches and serve. This is a great way to use leftover Thanksgiving items, like turkey, rolls and cranberry sauce.